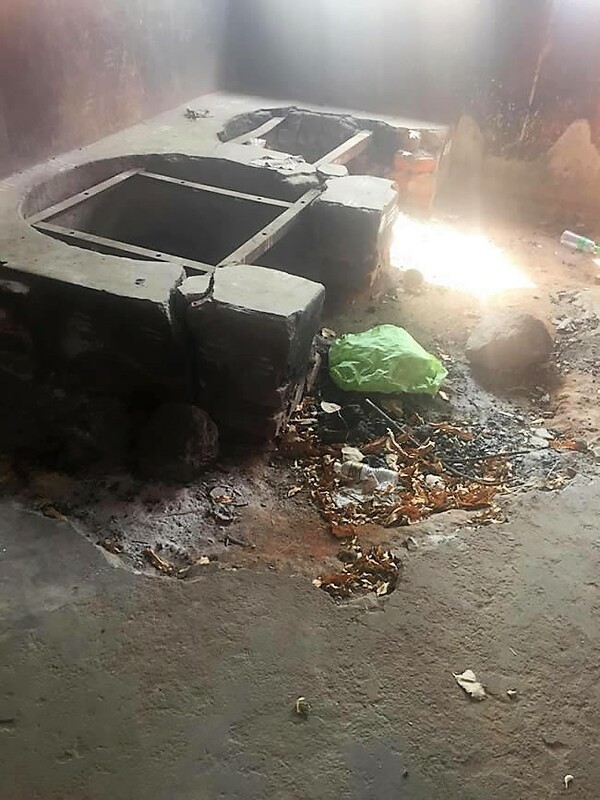 On December 14 last year, 110 people were hospitalised after consuming prasadam at the Kichugutti Maramma temple in Sulwadi village of Chamarajanagar district in Karnataka. This was a case of deliberate poisoning, confirmed to be Monocrotophos, an organophosphate insecticide, classified as highly toxic and banned in many countries but still available in India. The diagnosis of poisoning is made on the basis of clinical suspicion, the characteristic clinical signs, smell of pesticides or solvents, and reduced acetylcholinesterase activity in the blood. Apart from stimulating secretions in the body, it can cause muscular weakness, twitching and neurological symptoms. The main drugs for treatment are atropine, pralidoxime (PAM) and benzodiapines. Seventeen of the 110 affected people died, although almost all received medical care. The district administration and general public demonstrated a remarkable response in terms of arranging transport, shifting patients to the secondary and tertiary facilities, identifying those exposed to the poison and making manpower available during the crisis. There should, however, be some introspection within the system on how these kinds of poisoning related emergencies could be prevented and managed better – one cannot depend on goodwill to respond to a crisis of this magnitude. Preparation for a disaster should be done much before a disaster actually takes place. The first point of treatment for a majority of those affected was the 100 bedded Holy Cross Hospital in Kollegal, which has 132 staff, an ICU facility and 7 ventilators. When the first few seriously ill patients began arriving, the hospital authorities realised the scale of the incident and an emergency situation was announced. The hospital initially received 64 patients of the 110 who had consumed the contaminated prasadam. The hospital had adequate quantities of PAM and atropine which are lifesaving and possibly contributed to the reduced fatality of an otherwise largely fatal poisoning. It is, however, ironic that this hospital is not empanelled under the Arogya Bhagya scheme because it does not meet some of the criteria. The public health systems seem ill-equipped and unprepared to handle isolated emergencies, leave alone an outbreak, an epidemic, a natural or man-made disaster and so on. As far as the healthcare system is concerned, there is very little focus in the existing healthcare related schemes and programmes on how to deal with cases of chemical poisoning. Instead, most of the focus seems to be on the more procedure based models of curative care. The district administration and the state government will have to map the healthcare system so that there is seamless communication and referral with the first primary point of care being strengthened substantially. First-aid and disaster management training should be an essential component of training for all healthcare personnel. Functional ambulance facility should be upgraded. At the secondary and tertiary facility level, it is important that there are staff who have received specialised training in toxicology with close contact with poison information centres. The communication should be two way, with the secondary and tertiary level facilities sending updated information to the poison information centres so that a national level database can be maintained. This helps to plan interventions and particularly to screen those poisons that need to be banned at a national level. Since organophosphate poisoning has some long-term side effects, the affected patients should be followed up over a period of time to look for neurological changes, poor concentration, memory and post-traumatic stress disorder. Proper records of their health status have to be maintained. Currently there is no system of long-term follow-up and care for those affected by poisoning. In India, there are several situations where large quantities of food is prepared – schools, colleges, centralised kitchens, marriages, funerals, religious spaces and others. There should be strict guidelines for food procurement, storage, preparation, serving, etc. Licenses should be issued only to those agencies which meet the required criteria. Adequate resources should be provided for inspecting these facilities and the monitoring reports should be put up in a public domain. Any violators should be banned from distributing food to the public. The undue influence of the regulator should be strictly penalised so that an informal nexus between the regulator and the agency should not be formed, as is usually the case with regulation in India. The systems in place for handling chemical poisoning in India is very poor. Vital time is wasted by healthcare staff in identifying the poison based on history, signs and symptoms, and then consulting experts on management. Standard treatment guidelines and markers of common poisons should be displayed in health facilities and also included as part of the regular training. There is a need to urgently revise the medical curriculum to focus on rural health issues and those of public health importance in the Indian context. Knowledge about large-scale poisoning management may be required at the community level itself. Certain members of the community, such as local police, teachers, anganwadi workers, ASHA workers, ANMs and gram panchayat members, may be the first point of contact and should be able to identify, decontaminate and offer basic first-aid. This training for disaster or large-scale emergency preparedness should be made part of all trainings and curricula. The local PHC medical officer or general practitioner should have basic training in emergency care as well as emergency referral options. It is important that the government responds quickly to a large-scale poisoning. Constant updates of helplines, media releases, public education messages, emergency contact numbers and precautionary measures have to be made widely available. This is only possible if these systems are put in place before an emergency. In Karnataka, these systems occur in retrospect or after an emergency has occurred. It is important that poisoning by highly toxic chemicals is not seen as just a case management issue but in terms of prevention, and environment damage and legal enforcement. Although Monocrotophos is classified as a highly hazardous pesticide and recommended to be banned, India still doesn’t follow the international code of conduct on the distribution and use of pesticides. There should be at least one well-functioning poison information centre with the required skilled staff and resources to quickly diagnose poisoning as well as maintain long-term data. Those poisons that are most fatal and banned in other countries should be quickly phased out in India. While exposure to poisons are often brought to attention when it is large-scale and affects many people, chronic exposure to small quantities of poisons and chemicals is hardly on the radar. These are invariably treated as isolated cases, because of which larger patterns and trends are missed and unsuspecting communities in certain occupations or geographic areas face disastrous consequences for years, without any recourse to rehabilitation, appropriate treatment or compensation. There is almost no monitoring of the chemicals used in small-scale industries, pharma companies, home-based manufacturing, and these are often released into the domestic water supply systems. Larger industries often have a level of impunity and can get away in spite of violations, the Bhopal gas tragedy being a case in point. Research on poisons, antidotes and long-term consequences and side effects have to be done on an ongoing basis, and the poison information centres should function on updated field level information rather than theoretical knowledge from other countries. Information about poisons in the country has to be developed in an organic manner based on real experiences and outcomes rather than theoretical ones. For this, it is important that the link between peripheral facilities and the toxicology centres is ongoing and bi-directional. 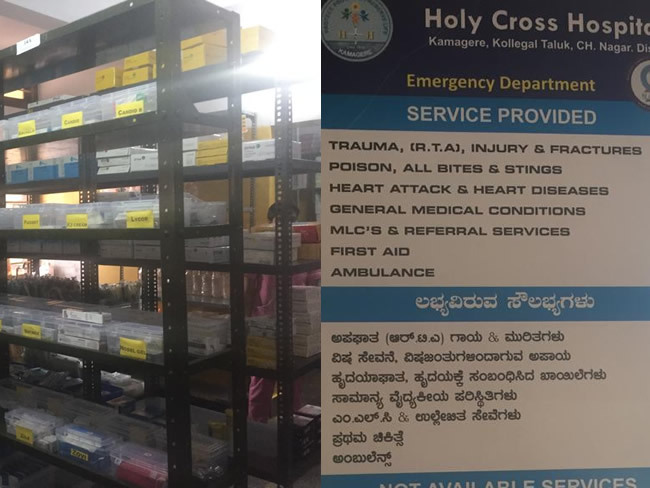 In the case of the Sulwadi poisoning, the Holy Cross Hospital had adequate supplies of atropine and PAM for the management of cases and is quite likely to have helped save the lives of several of the 110 who had been poisoned. Antidotes have to be listed among the essential drugs and made available quickly. Their lifesaving value cannot be underestimated, particularly relevant in areas that are remote and where emergency life support is at a distance. If a patient has received an antidote and then transported to a tertiary facility, the outcome is likely to be better and the overall burden on the health system reduced. Good first-aid procedures and the appropriate use of antidotes may not only be lifesaving but also economically sound. Although antidotes are sometimes expensive, their use may prevent death, prolonged hospitalisation, or permanent sequelae. The benefits of their use thus outweigh the costs. Primary care physicians should be trained in the use of antidotes and these should be made readily available. In India, many poisons are readily available but the system is not adequately equipped to deal with a large-scale poisoning as happened in Sulwadi. Unless lessons are learnt and the system gears up, these kinds of incidents are likely to recur and more lives will be unnecessarily lost. The writer is a public health doctor and researcher, who was part of a six-member fact-finding team from the People’s Union for Civil Liberties (PUCL) that visited Sulwadi.